Meet the MX8 Elite’s little Brother. The MX6 has been on the market for quite some time now and Zodiac upgraded the MX8 cleaner a couple of years ago to the MX8 Elite. It was time to do the same for the MX6 and now we finally have the MX6 Elite. The major upgrade to both the MX8 and MX6 to make them Elite are the Scrubbing Brushes on the Cyclonic Scrubbing Turbine Assembly. Cyclonic Suction - Powerful suction and aggressive wall-climbing. 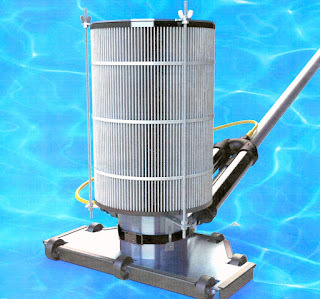 Active Scrubbing - Cyclonic Scrubbing Brushes deep clean pool’s surfaces. Comprehensive Coverage - X-Drive Navigation ensures complete pool coverage from floor to waterline. Optimized Flow Control - Flow Regulator Valve automatically controls excess flow for optimal performance and longevity. Energy Efficient - Articulating turbine blades provide the ultra-efficient operation, even on low-flow pumps. The compact size of the MX6 Elite is one of the best features of this cleaner. It is not designed for very large pools but for those with small to medium size pools, this cleaner would be ideal. It not only cleans and scrubs the floor of the pool but will climb the walls of your pool and scrub up to the waterline. If you are running a Variable Speed Pump, the MX6 Elite is light enough to work on a lower RPM too. You can run the cleaner at 2600 RPM in most cases and still be within the ideal range for the speed of the cleaner. 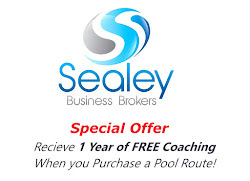 This will help maximize your energy savings and keep your pool clean each week. 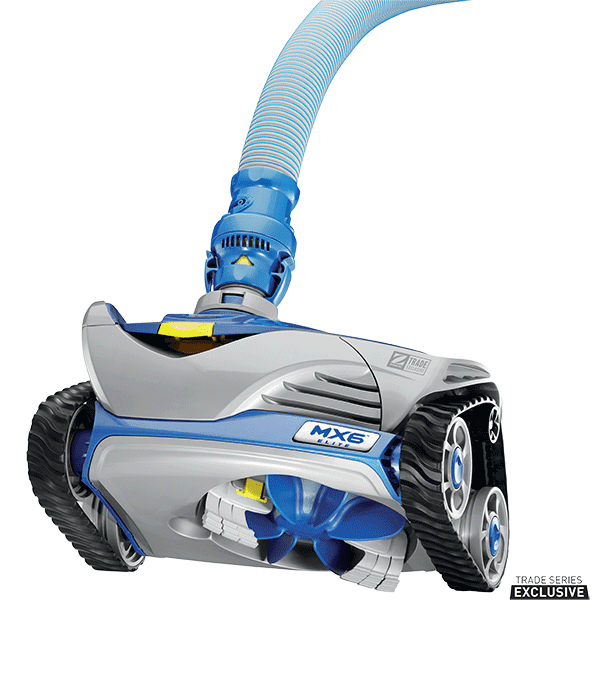 Not many suction side cleaners can work off of lower RPM or lower speeds of a Variable Speed Pump but the MX6 Elite is designed for it. The scrubbing brushes are what sets the MX6 Elite apart from other suction side cleaners. It is the only cleaner, besides the larger MX8 Elite that is designed to scrub the pool surface to remove dirt, algae and stubborn debris. The Cyclonic Turbines were designed to give the cleaner better traction but since the turbines spin, adding brushes to them was just a brilliant and obvious move. You can see the cleaner just lifting dirt and debris right off the pool surface. If you’re looking for an all-around great cleaner that will clean both the pool floors and walls, the MX6 Elite would be a great choice. Aquabot Rapids 4WD Robotic Pool Cleaner: 2 Year 100% Warranty! The Aqaubot Rapids 4WD is a great mid-range robotic pool cleaner that features a great 2-year full warranty. 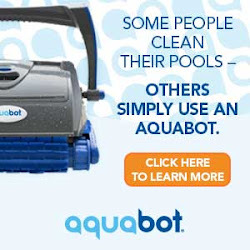 It is one of Aquabot’s retail pool store only cleaners and is only available at your local brick and mortar pool store or from your pool service provider and is not sold online. With that said the price point is mid-range so depending on your region anywhere from $700 to $800. Let me touch on a few of the features that I really like about the robot. The top-loading debris chambers are great. They easily snap out and filter down to very fine particles including dirt. They are also very easy to empty and clean and they are what I consider large capacity. You can’t beat a robotic pool cleaner with these top loading debris trays. The clear plastic on top makes looking in easy so you will know when you need to empty the debris chambers. Although the Rapids 4WD does not scrub the tile line, the true 4-wheel drive of this cleaner will allow it to climb the walls to the waterline giving you complete coverage of the pool from floors to walls. The 4WD also allows the cleaner to avoid getting stuck on the main drains of the pool. A problem for some robotic cleaners that lack the true 4-wheel drive feature. The tires are non-marring, so this cleaner is safe for all surface types. Included in the software of the Rapids 4WD is the AquaSmart Gyro System that will allow for systematic cleaning of the pool in the quickest way possible. If you watch the cleaner you will see it pause, then change direction. Unlike other cleaners that will go forward for a certain time and then reverse, the AquaSmart System will turn the cleaner so that the cleaning pattern is more random and it won’t travel over the same path over and over again. This allows for the short run cycle of 3 hours and in fact, most pools will be clean in half that time. Other notable features are the extra-long cable of 60 ft making the Rapids 4WD ideal for a small, medium to a large pool. The swivel on the cord will also prevent cable tangling which has been a problem for robotic pool cleaners in the past. The rotating scrubbing brush in the center on the bottom will help scrub off stubborn dirt and debris. It is also lightweight and the large handle on top allows for easy removal from the pool. These are some great features and the Rapids 4WD is backed by a great 2-year full bumper to bumper warranty. If the only thing that you focus on when purchasing items for your pool is the price point, this could be detrimental to your budget in the future. Every aspect of the pool product should be examined and factored in along with the price point. This is what I term Future Proofing your pool. Buying a product that will last versus buying a cheap product that will need to be replaced in a year or two. I will give you a current example of this that I recently came across. I really like the Pentair Rebel Cleaner and think it is a top 3 cleaner for your pool. Recently I went to order some parts to rebuild one and found out that Pentair does not have a kit for this cleaner. That means if you purchase 2 wheels, a couple of important gears and a drive shaft you are out over $200. That is 5 parts in total and does not include the turbine, the cam or any of the internal gears nor the lower body shell. So technically after 4 years, the Pentair Rebel is a throwaway cleaner. Meaning it is cheaper to toss out the old unit and buy a new one versus replacing parts. The problem is it is a $400 throw away cleaner and not a $99 one. Contrast this with the Hayward PoolCleaner, Aquanaut cleaners which have what is called the Lower Body Conversion Kit. This is the complete lower body of the cleaner with all the gears, turbine and two new wheels. Essentially the whole bottom of the cleaner which makes it technically a complete rebuild. They sell this for $120 so essentially you can rebuild your Hayward cleaner every 5 years and keep the same unit running for several years. Now that is what I am talking about, you just Future Proofed your suction side cleaner by purchasing a Hayward PoolCleaner over the Pentair Rebel. Until Pentair comes out with some type of kit, the Rebel will not be cost effective down the road. Let’s look at pool filters for a moment. Technically a Sand Filter is a truly Future Proof filter and can last you 30-40 years. All you need to do is change the sand ever so often and live with the lower filtration quality, but if your looking for a one-time filter install a Sand Filter fits the bill. The next filter I would suggest if you just don’t want a Sand Filter is the Sta-Rite System 3 Cartridge Filters. The System 3 tanks are virtually indestructible and will last for decades. The cartridges have an original design that makes them very long lasting and durable. So if you're looking for a filter that is Future Proof investigate Sand Filters or a good cartridge filter like the System 3 filter by Sta-Rite/Pentair. If you want a Future Proof pool pump a Variable Speed pump is your best option. Not only will these save you money on your electricity bill but since they run at a lower RPM they will save on the motor wear and tear. A standard single speed pump runs at 3450 RPM all the time causing extreme wear on the coils and bearings. Since a VS pump runs at less than half that speed for the majority of the time it will last 3 or 4 times longer than a standard speed pump. So instead of replacing your single speed motor when it burns out, spend the extra money and just upgrade to a VS pump. It is the best Future Proof pump out there. 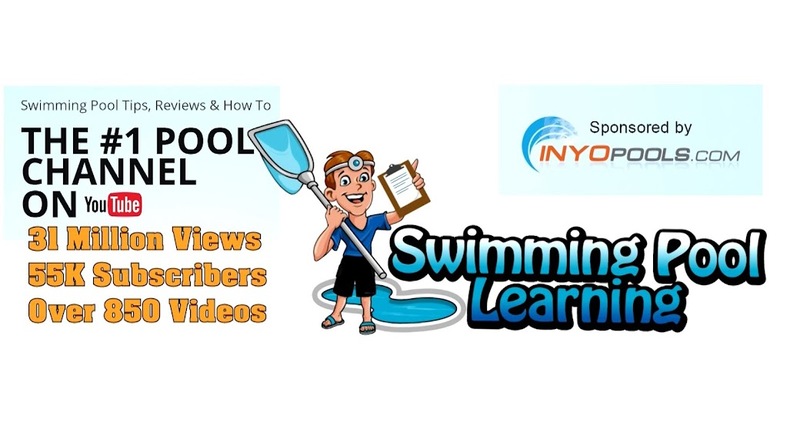 I get asked a lot if a Salt Water System is better then a regular chlorine pool and if your thinking about Future Proofing your the pool you may be surprised that I think a standard chlorine pool would be better. A saltwater pool will cost you a lot more money and the only benefit it offers is that you won’t need to add chlorine to the pool during the season. The initial system may cost as much as $1,400 to put in, plus the initial salt to charge the pool which is about $120. Then you would need a new salt cell every 4-5 years at a cost of $400-$600. So that is around $2,000 for a 5-year period. That can pay for a lot of liquid chlorine or tablets. So a salt system is technically not a Future Proof investment although it makes your pool care more convenient. I suggest not investing in one for the reasons I have discussed above but if you want one to make life that much easier, go for it. Just be aware that a Salt Water System is contrary to Future Proofing your pool. These are just a few examples for you to ponder. The price point is not the only factor and you can also be misled by a builder or pool sales person on a product like a saltwater system. Investigate the entire product before you purchase it to see if it is truly Future Proof. The Smart Company makes a variety of pool poles, leaf rakes, and brushes but I wanted to highlight to pool poles that are great for Commercial Pool Service use. Unlike the homeowner who will use their pool pole once or twice a week, the pool service professional will use a pole all day long at 14-20 pools each day. Times that by 5 days and 50 weeks and that is a tremendous amount of use. Add a powerful and heavy vacuum system on top of that and pools with heavy debris and you can see that a pool pole for professional use needs to be strong long lasting and durable. The Piranha Power Pole Lever Lock PP-LV and the Piranha Eliminator are by far the best and strongest 2-piece pole on the market today. They extend from 8 ft to 16 ft and the unique level-lock of the PP-LV keeps the 2nd piece firmly in place. The PP-LV pole is also "Micro-Extruded" reinforced to make it extremely durable. Something that is really cool is that the PP-LV pole has a flap inside it that allows the 2nd section to extend and be immersed in water without filling up with water. This allows the pole to stay lighter while you are vacuuming or skimming the pool bottom. It is made out of clear Anodized Aluminum to prevent all types of corrosion and is just extremely well made. The Rear Channel on the PP-LV or second piece has built-in glides to prevent the tube from slipping or twisting while extended. The Lever is spring loaded and is a replaceable part. It also features an interior stop to prevent the pole from separating on you. If your looking for an easy to use service pole that can handle all the rigors of a typical service day the Piranha Power Pole Lever Lock PP-LV would be a great choice. The level-lock can be a bit noisy on the PP-LV, but the ease of use makes this a fantastic pole. This is one of the most user-friendly poles on the market and you will be very pleased with the performance. The Eliminator is a double twist locking pole and is also a “Micro-Extruded” reinforced pole. The Oval lock has no moving parts and the two pieces of the pole lock against each other. Once the poles are locked in place, they stay locked in place allowing for use with heavy brushing, a vacuum system or any other use that would quickly wear out an inferior pool pole. You can see the reinforced second section through a hole at the top of the pole handle. This is just one tough Anodized Aluminum service pole. The grip on both poles is mounted with machine screws so they won't slip off while in use or fall off during transport. There are also extra holes on the front to make attaching any tool quick and easy. I really like how firm the 2nd section is held in place on both poles. You can rest assured that this pole will never collapse on you while using it. For those who have not used a premium pool pole for service, I must tell you that you are really missing out. The pole is the primary tool that you are using all day while skimming, brushing and vacuuming and it is essential to have the best tool for the job. If you have ever used a pole that has bent or broken on you or doesn’t lock in well, you know how frustrating that can be. Investing in a good premium pool pole is the smartest thing you can do. Here are some more common mistakes that you can make with your pool care. It is very easy to make mistakes with your pool care and don’t feel bad if you do. 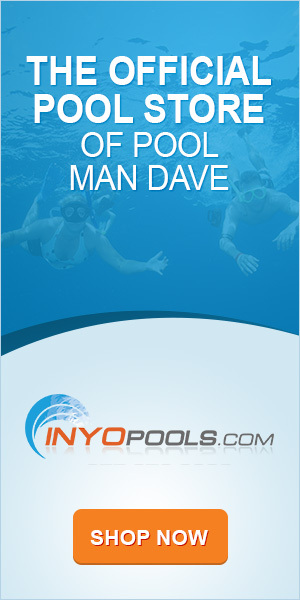 There are just so many aspects of pool care and no one expects you to know everything. That is the reason I write these articles so that you will at least not make the mistakes that I have made. One of the strangest things to grasp is when the pool equipment sits below the pool water level. E call that having the pool equipment below sea level. Gravity is a powerful force and effects how the water reacts in equipment below sea level. Here is a common mistake. You notice the pump basket has a lot of debris in it. So, you turn off the pump and take the lid off. Suddenly all the water comes gushing out and there is no way to stop it. You try to put the lid back on but can’t. What happened? Since the equipment is below the pool water line when you take the lid off you are breaking the water seal. Kind of like a sinking ship in a movie when they are trying to close off the hatches to prevent the ship from sinking. Once you open the lid without turning off the water flow you are in a world of hurt. Gravity will push all the pool water out of the point of least resistance which at this moment is the pool pump with the lid off. What can you do to remedy this? Hopefully, there are some ball valves at the equipment to turn. Most builders will install these if the equipment is set below the pool water line. If not grab a tennis ball and quickly insert it into the skimmer hole. This will stop the flow of water and you can then get the skimmer lid back on. If your pool has an attached spa you can also deadhead the pump. Remove the nut from the Jandy Valve and lift the handle about 1/4 of an inch. Then turn the valve where it says “off” to directly in front of the pump. The gate inside the Jandy Valve will stop the flow of water coming out of the pump. Warning: just be sure to turn the valve back to the proper position before turning on the pool pump. Another common mistake is taking your suction side automatic cleaner out of the pool incorrectly. I find this every Summer without fail and it is a common mistake. The customer will want to use the pool, so they take the cleaner and lay it up on the deck. But they fail to remove it from the side port or skimmer. When they are done swimming, they go back in the house but fail to put the cleaner back into the pool. The next day when the pump comes on all the water will be quickly sucked out of the cleaner hoses and then the pump will be sucking air. If you leave it like this for a couple of days, chances are the pump and motor will be damaged. Besides that, the pool isn’t running during that time and will begin to turn on you. The air coming into the pool pump from the cleaner will stop the pump from priming. To avoid this, you will want to remove the cleaner from the pool completely. Disconnect it from the skimmer or side port first and then lay it out lengthwise to the pool. Never coil the hoses up or they will get a “memory” and when you put it back in the pool the cleaner will go in circles. Never take the cleaner head out of the pool and put it on the deck with the hose still connected to the side port or skimmer. On a similar note pool toys left in the pool can be another hazard. Not only are they tempting for your little kids to reach for and possibly fall into the pool, but they can get sucked into the skimmer and cause the pump to run dry. I’ve seen pool noodles blocking the front of the skimmer, plastic bags and balls lodged in the skimmer basket preventing the pool pump from running. 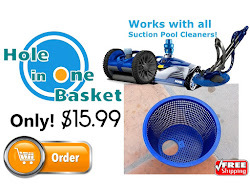 The best thing you can do is to remove the pool toys from the pool after each use. So that is a few more common errors that you can make with your pool care. 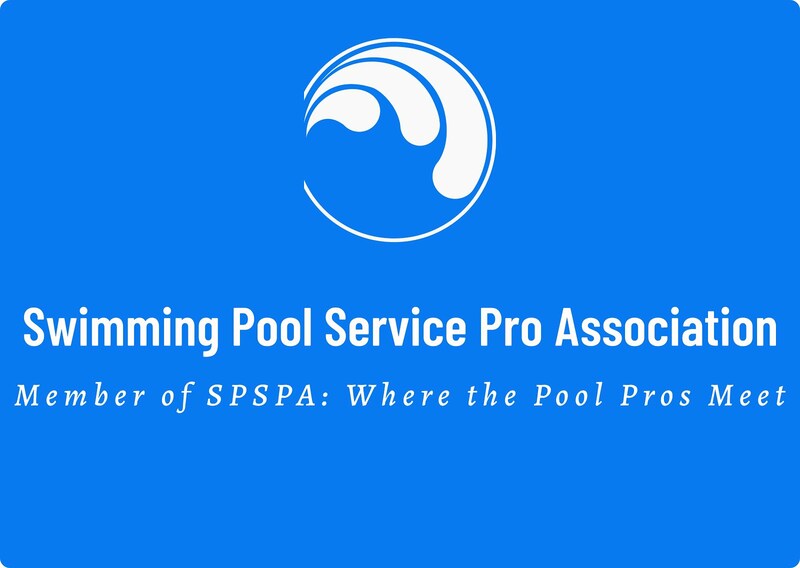 If you’re a new pool owner or a new pool service tech, there is a lot to learn and to prevent mistakes simply be aware that pool care is not that easy. Reading and research go a long way and of course, learning about common mistakes will help you from making them yourself. If your pool gets a lot of leaves the Battery Powered Leaf Vac would be a solid investment. This is a quick and effective way to remove lots of debris from the pool bottom. You can also lock the handle and use it as a skimmer but I think the best use for the vacuum is on the pool bottom. It connects easily to your standard pool pole and is simple to use. Just push it back and forth along the bottom and it will pick up leaves and debris effectively. If you carefully place the battery seal on the vacuum, then the battery compartment water seal should keep the batteries dry and free from corrosion. The battery compartment is the only place water can get in and damage the Volt Leaf Vac so use caution when changing the batteries. Water Tech has really improved the battery chamber and the Volt Leaf Vac is backed by a 2-year warranty. 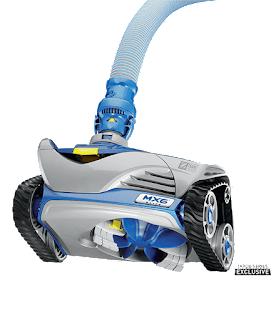 I like the overall design of the Leaf Vacuum and I really like the fact that you do not need to use a garden hose to power the cleaner. The battery-powered propeller works very well in picking up leaves and debris. It won't pick up rocks or coins and the fine dirt will pass right through the bag but for the primary use of picking up leaves and debris, the Leaf vacuum is great. This is a great alternative to a traditional leaf vacuum powered by a garden hose. That one takes some time to set up and you are dependent on the water pressure of the home, plus moving it around in the pool with a garden hose attached is challenging. This is also faster than skimming the entire bottom of the pool which tends to stir up leaves and debris more. Simply drop the Volt Leaf Vac in the pool and start sucking up the leaves. Bottom Feeder 20 Micron Cartridge assembly - A Vacuum System that Can Pick Up Dirt! The Cartridge Filter Assembly for the Bottom Feeder Portable Battery Powered Vacuum System is a real game changer for Vacuum System market. Not only is it an ingenious idea that is the long sought-after Holy Grail of Vacuum Systems, but it actually really works! The cartridge will filter down to 20 microns just like the cartridge filter connected to a pool and pick up fine dirt and dust on a pool bottom. 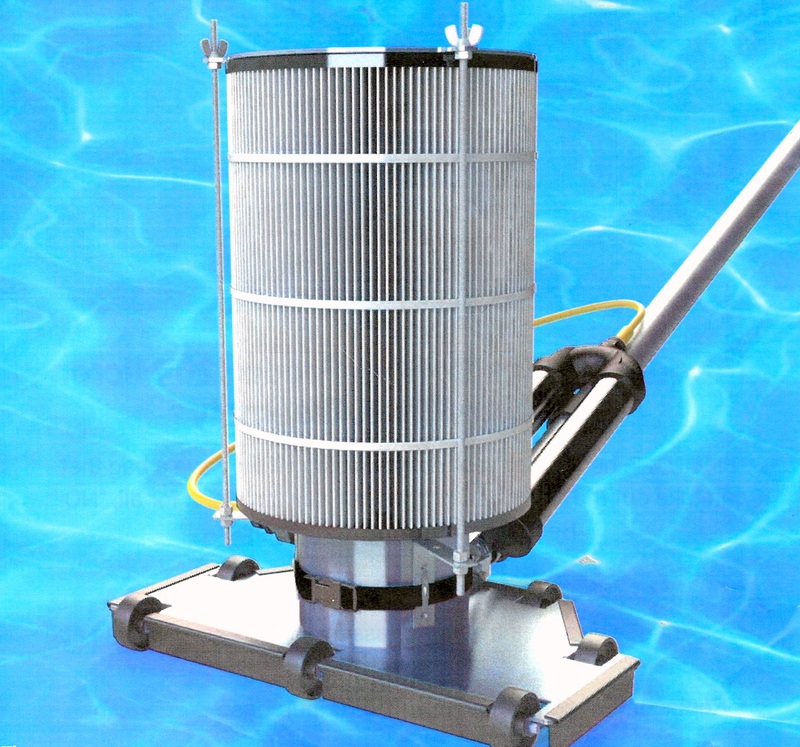 The Cartridge Filter Assembly now takes the place of needing to manually vacuum a pool! The idea and concept have been in the works for a few years by the creator of the Bottom Feeder. Since a 60-micron bag was as low as you could go and still allow for water flowing through the bag, any smaller micron would be impossible to achieve with a bag. The cartridge is a great solution and can filter dirt down to 20 microns. It allows the water to flow through and still trap the dirt and debris. The cartridge fits right on top of the Bottom Feeder and is held on by a strap. The aluminum cap on top holds all of the dirt and debris in the center of the cartridge. Using the Bottom Feeder with the attachment is easy since the bottom feeder vacuum itself is very light. Simply push it along the pool bottom much like a manual vacuum and pick up the dirt and debris. I really like the portability of the Bottom Feeder. It is easy to carry back to my service accounts and it takes less than 30 seconds to connect it to my pole and drop it into a pool. It is powered by an 18 lbs. thrust motor which is less power than a standard Vacuum System but still very powerful. I didn’t notice much drop off in power between the Bottom Feeder and my other Vacuum Systems. The Body is light and maneuverable, and it is like using a standard manual vacuum head with the swivel on the handle. The great thing about it is that there are no hoses or cords so using it couldn’t be easier. The Lithium Ion battery is rated to last for up to 2 hours of run time. This should be plenty of time each day if you service a standard size route. After your day ends simply plug in the battery to the charger and let it charge overnight. If the battery is completely drained it should take about 10 hours to fully charge it. The battery is what makes the Bottom Feeder so compact and light. It attaches to your pool pole and rides behind the Body making the battery pack fully submersible. The Bottom Feeder is shipped already assembled. In the box is the Battery Pack and Charger, two bags, two Battery Cables, two Propellers and the body Feeder Head itself. It also is covered by a one-year warranty and from using it the Bottom Feeder is very durable.